Read here for an overview of federal criminal charges. Learn the difference between the federal court system and the state court system and how federal charges differ from state charges. The Federal Court System deals primarily with cases regarding federal law, international law, questions of constitutionality and cases involving the federal government as a plaintiff or defendant. On the other hand, the State Court System deals with infractions against state laws and regulations, cases in which the state is a plaintiff or defendant, and cases brought by one citizen (natural or legal) against another. Some of the crimes listed above are infractions against both state and federal law, and there are thousands of other crimes that can be tried under either the federal or state system. In general, however, any criminal offense that involves large quantities of drugs, large scale fraud, occurs on federal property, or is an infraction against federal laws and regulations, wherever they may have occurred, will be prosecuted federally. They are investigated by federal agencies such as the IRS, FBI, CIA or the DEA. They are prosecuted by a U.S. Attorney rather than a state district attorney. Sentences are imposed according to Federal Sentencing Guidelines, as opposed to individual state guidelines. Sentence are carried out in federal prisons rather than state prisons. In addition, state charges are prosecuted in a state or municipal court, while Federal criminal charges are prosecuted in one of the United States district courts. If you are charged with a federal crime in Oklahoma, you will be prosecuted in either the Eastern, Northern or Western U.S. District Court of Oklahoma. Finally, the rules and procedures regarding federal criminal cases differ vastly from those involved in a state criminal case. 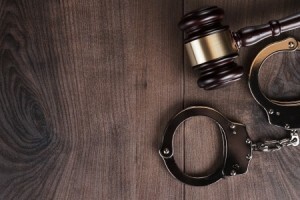 For this reason, when defending federal criminal charges, you should be represented by an attorney who has experience in defending clients under the federal court system. If you or a family member has been charged with a federal offense, it is critical to promptly retain an experienced Oklahoma criminal defense attorney. The Oklahoma criminal defense attorneys at Jury Pro represent Oklahomans charged with federal offenses to protect their rights and mitigate or prevent the natural consequences and collateral damage that can result from a federal criminal charge. Call (888) Jury-Pro or (888) 587-9776 now to speak with an Oklahoma attorney.